Home  My Gleanings Page  Illustrated Edition - Page 12. Illustrated Edition - Page 12. A Glance at Her History, and the People Who Built the Pretty Town. A Fine Business Place, Filled With Good Business Men. The second largest town in Crittenden county is Dycusburg, and it is a town of no small importance yet, although the advent of the railroad has interferred [interfered] materially in the shipping business which was a tone time a leading feature. In its best days Dycusburg probably did more business than Marion, its location on the bank of the Cumberland making it close to the marts of the world drew some of the best merchants the county ever had. 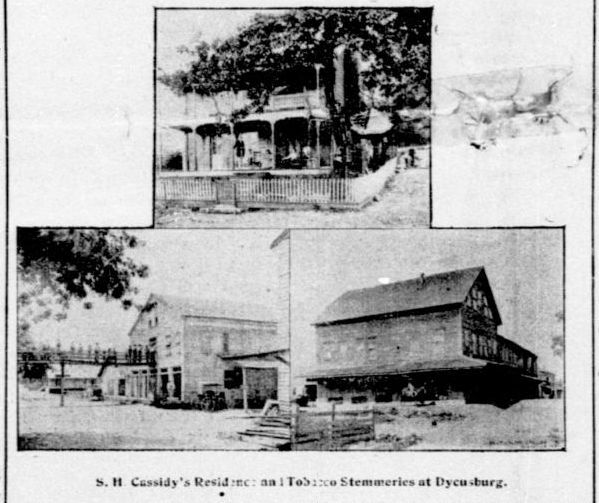 While some of the attractive points are gone, or rather while the railroad has superceded the river, Dycusburg is yet a live town and does a large volume of business, the location and admirable qualities of it s businessmen keeping her well to the front. The native forest of that vicinity was first broken by a Mr. Scyester, on the farm now owned by the widow Brannum. In 1833 J. W. Simpson built a rude warehouse below where the town now stands. In 1838 a brick warehouse and residence was built and other houses followed in rapid succession. In 1848 the town was incorporated, and business began to grow rapidly. Jackson & Cobb were selling goods, buying and shipping tobacco; Cobb & Cobb succeeded this firm; Smith & Head carried on a big mercantile business in 1851; David Moore & Bro., M. L. Smith, J. N. Flanary, Wm. Bennett & Co., T. T. Martin, the Yanceys, L. L. Level, Cobb & Gellatley, Pritchett & Cardin, Wm. Dycus and Dr. Graves are some of the names associated with the early history of the town; and successful business men they were, giving the little town a wide reputation in the commercial world, and their successors have been and are men noted for good business methods, integrity and enterprise, and today Dycusburg has a splendid trade, and large stocks of goods and some as good people as are on the globe. Two neat church buildings, Methodist and Baptist, a commodious school house, some pretty residences, large tobacco and grain houses, large store rooms, filled with $8,000 and $10,000 stocks, all indicate continued prosperity. A fine farming country on both sides of the Cumberland contribute to the material welfare of the town, and the town in turn affords the country the conveniences necessary for the well being of all well regulated households, and hence a spirit of friendliness exists among the people. A daily mail from Kuttawa supplies the town with its quota of letters and papers; and by the way a good many daily papers are taken and read there, the Louisville papers reaching there as early in the evening as they reach Marion. Among the men who add to the substantial worth of Dycusburg today are Sam Cassidy, J. H. Clifton, the Yancey boys, Eugene Brown, Wm. Mays, F. B. Dycus, the Burks, Geo. Graves, the doctors Graves, Wm. Hill, Ed. Ramage, P. K. Cooksey, Tom Yates, Ab Henry and a score of others. Dycusburg is up with the times; there is not a more progressive community in the county, and morally it is the equal of any. One of the most interesting characters one meets with there is Dr. W. S. Graves. 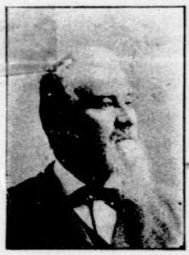 He has been a resident of the town for forty-four years, coming from Lebanon, Ky., and casting his lot with the then new community in 1850. But few things connected with the history of the town have escaped his memory, and the history of the people who have played upon the stage of life in that section is like a bound book in his mind. During all these years he has practiced medicine, and has built up a reputation as a physician second to none in the county. The post office at Dycusburg is in the hands of a lady, and a neater, cheerier place than the post office is not in the town. While Miss Ida Harris is nominally the deputy, she is really the postmaster, and the town and community may well congratulate themselves upon having their office in such splendid hands. Miss Harris' father was appointed postmaster by the present administration, and the control of the office was turned over to the daughter, who not only knows how to keep post office, but keeps it as a post office should be kept, and everybody is pleased. Miss Harris has a neat millinery establishment in connection with the office; she keeps posted on all of the fashions and is deft with her fingers in trimming hats and doing other work connected with the millinery business. Her goods are of the latest styles and her prices meet all competition. Miss Harris is one of the young ladies of the county who believes in woman's rights--that is, that a woman has the right to hold an office, if it is compatible with her surroundings, that she has a right to earn a living, that she has a right to be independent. She is popular, and is adding to the pleasant surroundings of the community. One of the pushing, prosperous and promising young business men of Dycusburg is Mr. E. Brown, the junior member of the firm of Dycus & Brown. Eugene Brown is a son of the late Hodge Brown, a pioneer mer[chant] of the town. In 1853 Hodge Brown was a citizen of Dycusburg; in 1853 he embarked in the steamboat business and but few people who lived along the Cumberland have not heard of Capt. Hodge Brown. Eugene Brown has charge of the large stock of hardware, farming implements, groceries, lime, cement, fertilizers, field seed, etc. The stock embraces everything in the line, and the goods are of the best grades, and the general appearance indicates a thrifty, industrious merchant; one wideawake to his customer's as well as his own interests. This form is one of the best and most reliable in town, and Mr. Brown enjoys the confidence and esteem of the people and the firm enjoys a good trade. Such men are of great value to a town, and augment the substantial character of the business institutions. Dycusburg business men are the peers of any in the county, and Eugene Brown is the peer of any in Dycusburg. He also stands high socially, and for honesty and strict business integrity, and pleasant business ways, he is a valuable young citizen. 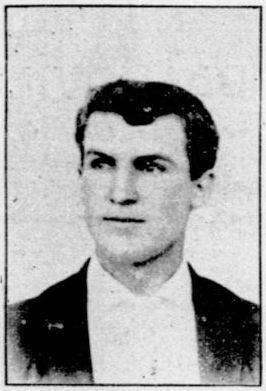 S. H. Cassidy, the senior member of the firm of S. H. Cassidy & Co., was born in Princeton, Caldwell county, Ky., August 30, 1835. When he was quite young his parents moved to Eddyville and from there to Dycusburg when Mr. Cassidy was eighteen years old. He has continued to reside in Dycusburg, making that his home ever since. At the age of twenty-one, he engaged in steam boating, serving a regular apprenticeship as engineer, and filling successively and successfully the various positions in a boat from engineer to captain, on boats plying the Mississippi, Ohio, Cumberland and Tennessee rivers. This he followed until 1861, when he engaged in the mercantile business with W. E. Dycus, at Dycusburg, under the firm name of Dycus & Cassidy. From the start this firm had the confidence of the people, and began to grow in magnitude. In 1874 Mr. Dycus died and the firm name was changed to that of S. H. Cassidy & Co. By this time the business of the firm had grown until it was second to none in the county. In addition to running a large general store, a large commission and forwarding business was transacted, and the firm dealt extensively in grain, tobacco and general produce, in this line overshadowing all other dealers in this section. 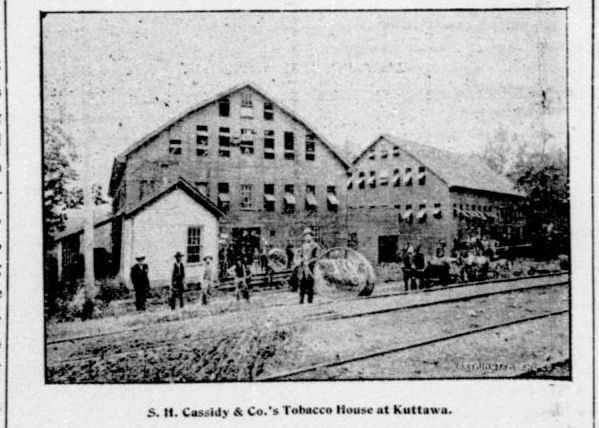 Mr. Cassidy continued the business under the new firm name for several years when he gave up all the branches except that of grain and tobacco, and to-day, more than thirty-three years since Mr. Cassidy began the business, the firm stands in the front ranks in all western Kentucky. The members of the firm besides Mr. Cassidy are W. S. Dycus and F. B. Dycus, and in leaf alone, these men are perhaps the largest dealers in the county, handling large quantities of this staple article for export and for the markets of the country. The[y] operate two large plants; one in Lyon and the other in Crittenden county. The Lyon county house is at Kuttawa. It is 50x200 feet, four stories high, and is located between the main stem of the N. N. & M. V. rail road, and the Cumberland river. The firm owns its own side-track to the factory, and thus is enabled to place its shipments on board the steamers from one end of the building, or on board the cars at the other end, without the expense or trouble incident to drayage. Mr. W. S. Dycus who grew up in the firm has charge of the Kuttawa house. In Dycusburg three large houses are operated: 150x50 feet; 125x80 feet and 80x60 feet respectively. Their buildings fronts on the Cumberland river, running back two squares, and are connected by tramways crossing the street from the second story windows. The buildings are from two to three stories high, and are furnished with all the modern improvements for handling tobacco, fine scales and scale trucks, eight improved racket screws for prizing. There are three double receiving doors to the buildings. the interior of the buildings is so arranged for hanging strips or leaf, that they class and grade each purchase and hogshead separately. The compartments each hold a certain amount and when filled, it contains exactly a hogshead of a certain grade or color, thus the business is so systomatically [systematically] arranged that it is known at all times just what amount and number of hogsheads of the various classes is hanging and in what state of preparation for shipment, at home or abroad, it is. The main office of the firm is located at Dycusburg. The books are so kept that they are at all times a perfect indext [index] to the business. At the close of each day these books show the amount of tobacco received, the cost of the same and the average price. The capacity at both places of business is three million pounds, and not a season goes by that this firm does not handle immense quantities of the famous Kentucky product, paying out thousands of dollars to the farmers of Crittenden, Caldwell, Lyon and Livingston counties. In addition to the grain and tobacco business the firm deals extensively in real estate in three counties, and has large investments in farm lands and town lots. In September 1887, Mr. Cassidy conceived the idea of buying land and building a town on the O. V. rail road. 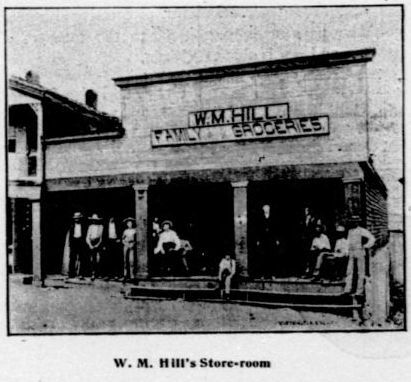 The firm purchased a track in Caldwell county and laid off what is now the prosperous and growing town of Kelsey, with its splendidly equipped stores, a good depot, express and telegraph office and other things that go to make a real live little city. As a founder of this town Mr. Cassidy displayed the foresight that has always marked his many successful enterprises. As a public spirited citizen Mr. Cassidy deserves much credit. Every enterprise in reach of him for years has felt the influence of his money and practical, broad business experience. When the people o[f] Crittenden county were moving every energy to get the O. V. rail road, Mr. Cassidy stood among the foremost workers for the undertaking and being close to the projectors, his influence and untiring energy had much to do with bringing the road through Marion. 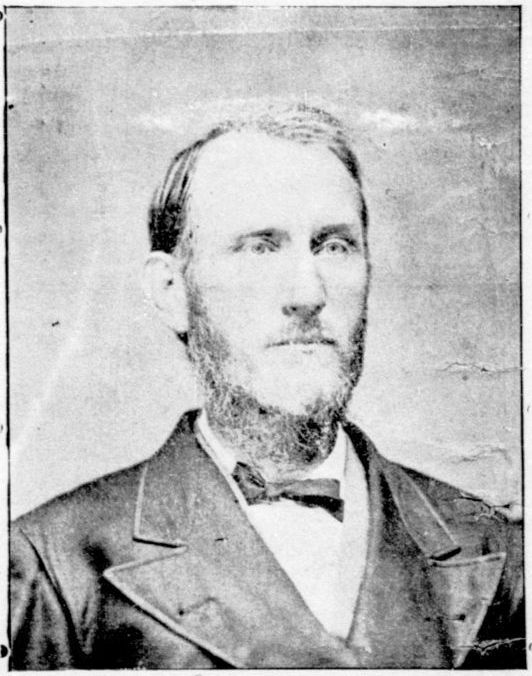 Mr. Cassidy stands high as a Mason, having joined the order when twenty-one years old; he is a member of the Cumberland Presbyterian church, and in politics he is a firm believer in the doctrines of the Democracy, and an active worker in his party. He has been married twice; his first wife was Miss Narcissa Clement, daughter of the late I. N. Clement, of this county, by whom he had two childred[children], Mrs. Mary R. Rice, wife of H. C. Rice, of Kelsey, and Mr. S. R. Cassidy one of the leading spirits and most successful merchants of Kelsey. 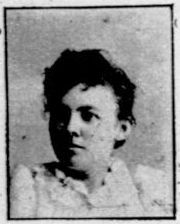 Mr. Cassidy's present wife was Miss Maggie A. Wilson, daughter of James Wilson of Caldwell county. He has two children living by his last wife, a son and daughter. 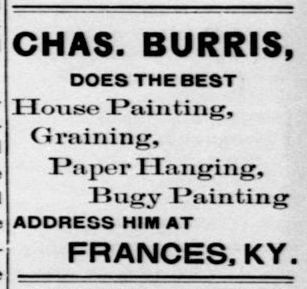 Mr. Cassidy is local correspondent for the National Agricultural Bureau, at Washington, also for the State Bureau at Frankfort, no one in the county is better posted on these lines or better equipped for his work than he. He has served in this capacity for a number of years and for his faithful, correct and impartial reports, he receives, as a compensation, the monthly and weekly series of crop reports in advance of publication. Mr. Cassidy's long and honorable business career makes him one of the leading men of his day and generation in Southern Kentucky. Such men are bone and sinew to a county, and it affords the PRESS pleasure to be able to present to its readers the excellent portrait of this most excellent gentleman whose personality is impressed upon the commercial affairs of our county. We also present views of his business houses and residence. Are the millers at Dycusburg, and they have but recently put up one of the best roller mills in the two counties. The mill has a capacity of fifty barrels a day, and is supplied with the best roller process machinery now made. It is conveniently arranged in every way, and from the very start it has had all the work it could do. 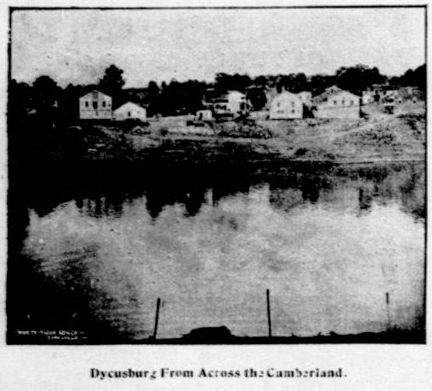 The flour made is in great demand, both at Dycusburg and in the surrounding country, and a great deal of it is shipped to points along the Cumberland river. Mr. W. H. Mays is in charge of the mill, and he is one of the best millers in the county. He has been connected with mills all his active life, and there are but few points that he does not know. He has made milling a business, a profession, and the years of study and varied experience have placed him at great advantage. Mr. Mays is a native of the county. He was reared near Marion. For business integrity, honesty and reliability none stand higher. 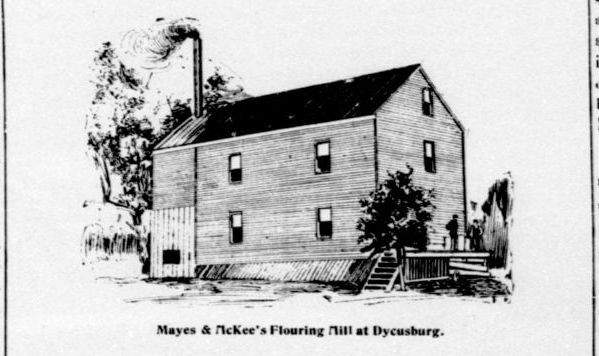 Nothing adds more to a town like Dycusburg than a good mill, and nothing adds to the mill more than a good miller; hence Dycusburg and the fine wheat country surrounding are all justly proud of the latest enterprise--Mays & McKee's roller mills. One of the substantial citizens of Dycusburg and Crittenden county is J. H. Clifton. His career has been a long, successful and honorable one. He learned the blacksmith trade and followed it for eighteen years at Dycusburg. It was while working at the forge that he formed a large acquaintance and established a reputation for business integrity that served him so well in after years. He finally began merchandising at Dycusburg, his business grew as the years went by, and today he has one of the leading business houses of the county, and enjoys the esteem and confidence of the people among whom he has lived so many years. He carries a $10,000 stock and his business occupies three large rooms. He handles dry goods, groceries, notions, clothing, hardware, and in fact, "everything," as he expressed it, "except whisky and coffins." His stock is well kept and well arranged. The main building is devoted to general dry goods, notions, shoes, and hats, and in the second story is his clothing, while an adjoining room is filled with heavy groceries and hardware, and the fourth room is the office. The splendid patronage Mr. Clifton enjoys is an evidence of his fair dealings, his honesty, and his enterprising spirit as a merchant and a citizen. He keeps the best grade of goods, sells at low prices, and whatever he tells you can be depended upon; his life and his business has been so long and so closely connected with the town he is regarded, and justly, as an important factor in the continued prosperity and good name of the town. On May 20, 1865, Mr. Clifton was united in marriage with Miss Mary J. McLarney, and to them eight children have been born. His family has added greatly to the social worth of the community, and is prized for usefulness in the social and church circles. Such citizens as Mr. Clifton and the family he has reared are the substantial features of a prosperous county. One of the land marks of Dycusburg is W. M. Hill. He located at Dycusburg in 1855, to take a position with Cobb, Gellatly & Co. one of the largest business houses of that place. He remained with that firm fifteen years and until he elected to give up the position. He has served the town as police judge several years, making a good reputation as a fair and impartial officer. In his younger days he was noted far and wide for his great physical strength, being a giant in that respect, though the years have come and gone, he is still a powerful man, retaining the vigor, both mental and physical, of his youthful day. He is a present engaged in the hardware and grocery business. We have a good picture of his business house. He carries a select stock of these goods, keeps up his house in splendid shape, everything having a tastey [tasty] appearance; and being so well and favorably known by the people of that section, he naturally does a good business. His affable disposition, good humor, and social qualities make him a popular man, and then in a business way he is honorable and trustworthy. Tolu is located on the Ohio river, and its situation in the midst of a fine farming district gives it prominence, to say nothing of its importance as a shipping point. There are dry goods stores, groceries, a hardware store, a grist mill, a saw mill, repair shops, and other industries that go to make a thriving village. It has a splendid school house. As a place of residence it is appreciated and a number of the farmers of that section have built handsome residences there. The location is healthy, the moral sentiment good, the people sociable and cultivated. In his article on the minerals of the county Prof. Ulrich suggests Tolu as the manufacturing point of the county. The town was founded by Dr. J. W. Guess, some years ago, and has grown right along. It is on the route of the proposed Marion, Princeton and Ohio River railroad. Indeed Tolu is a promising town. Fords Ferry is one of the oldest towns of the county. Early in the century it was a great crossing place, and it is associated with the name of Ford, whom unwritten history associates with many unpleasant things. The town has lost much of its ancient glory, but there is still considerable shipping done from that point, and there is one large general merchandise store and other smaller business affairs. It too is surrounded by a fine agricultural country and its business institutions are patronized by a splendid people. Besides the daily mail boat service, there is a daily mail from Marion. Weston is also on the Ohio river, and is still a good business point, and some splendid business men have cast their lot with the pleasant vi[l]lage, and are lending their energy, time and means toward making it an attractive point. The stores have good stocks of goods, and the cheap river freight rates gives it some advantages railroad towns do not have. A good school house and church are among the institutions of the town. Weston is a good place to live. Shady Grove is on the line that divides Crittenden and Caldwell counties, and is not far from Webster and neighbors with Hopkins. There are several stores in Shady Grove, and the merchants enjoy a good patronage from the people of two or three counties. There are likewise some live men in the town. In the village are merchants, doctors and ministers, and all the industries that make a complete community. Coal has been recently discovered in that vicinity and there are no reasons why Shady Grove should not continue to grow. A daily mail runs from Marion to that place. Iron Hill is a post office and country store, on the Marion and Shady Grove road, and a good deal of business is done there. Repton is a new town on the O. V. and is the shipping point for a large scope of very fine country. Here is a good store and the town promises to grow. Crayneville is one of the most prosperous towns on the O. V. The railroad people appreciate it as a shipping point and have built a small depot. There are two splendid business men here and they keep good stocks. Their trade demands a large and varied stock and they are up with the times. A new Cumberland Presbyterian church has recently been build, a good school house adds to the good name of the place, and a large tobacco factory is run. Frances, between Crayneville and Dycusburg, is a post office. It has three stores and some good citizens. Here is also located Liberty Lod[ge] F. and A. M. and the Lodge has a nice hall. View, another post office, is near A. H. Cardin's farm. A well fi[l]led country store, handled by a thrifty, stirring business man, and a splendid blacksmith shop constitute the business portion of the town. Levias gets a daily mail from Marion, has three stores and other enterprises. There are some good business men here and they are advantageous to the people of that prosperous section of the county. Sheridan has three stores, a blacksmith shop, a Masonic Hall, and plenty of good citizens. A daily mail runs out to Sheridan from Marion, and by Irma, another post office and good business point, to Tolu. Source: Crittenden Press. (Marion, Ky.) 1879-1907, August 16, 1894, Image 12 - Chronicling America - The Library of Congress.